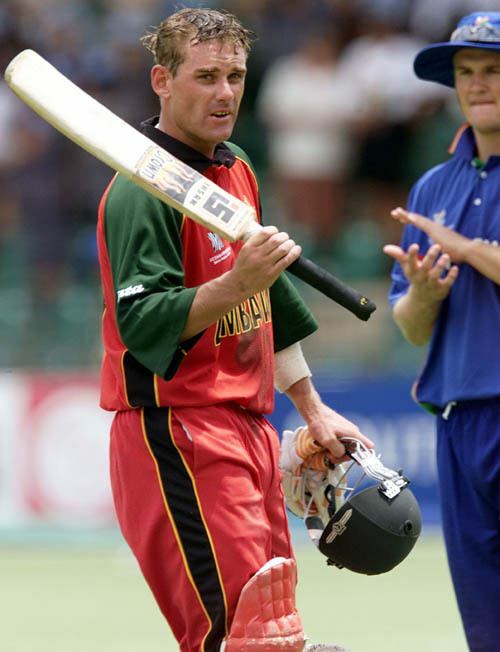 Craig Brian Wishart (born 9 January 1974) is a former Zimbabwean cricketer. During his career he played for several Mashonaland districts as well as the Zimbabwean national team. He made his Test debut in 1995 in Harare. He has a Test record batting score of 114, with a 22.40 batting average, and a one-day record batting score of 172 not out, achieved against Namibia in the 2003 Cricket World Cup, the sixth highest in World Cup history and the highest scored by a Zimbabwean player in ODIs. Wishart retired in 2005, citing "stress from the problems in local cricket", and was one of a number of senior internationals to announce their retirements in protest of the local governing bodys controversial decisions during the early 2000s. Currently he is self-employed in Zimbabwe and plays social cricket there.